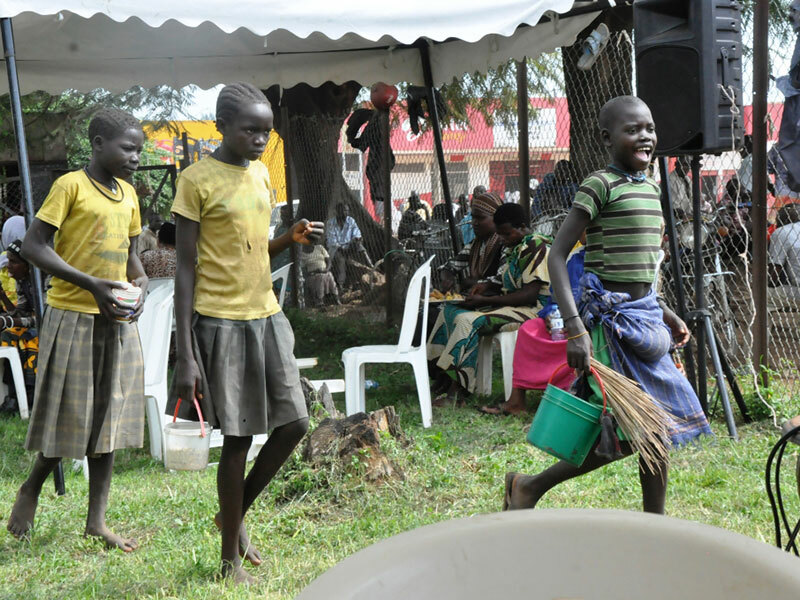 Street children from hunger-stricken Karamoja gate-crush a party in Mbale for food. David Oduut. Local leaders in Bukedi subregion have appealed for more food relief to the region to rescue starving households. The appeal comes fast on the heel of Monday’s revelation by the Food and Agricultural Organisation of the United Nations (FAO) that the number of people sleeping hungry around the world has soared. The districts of Pallisa Kibuku Butaleja and Budaka just like Teso, Karamoja and other parts of the country, are struggling to recover from acute shortage of food resulting from last year’s long dry spell. As a result, most families still survive on one meal a day or at worst porridge. In as much as the Office of the Prime Minister procured and distributed 140 tonnes of maize grains, 520 of maize flour and 330 of beans to hunger-stricken victims in Karamoja and other parts of the country, the need for more food is growing rife in the country. Julius Nyiro, Kibuku production officer, says over 26,000 people are still affected by famine in the district. “We received 9 tonnes of maize flour at the beginning of the year, and I can assure you that it could not do much,” Nyiro says. He says there is need for more humanitarian intervention as the food shortage in the subcounties of Kagweri, Kasasira, Kadama, Kibuku, among others, is life-threatening. Herbert Tom Kinobere, MP for Kibuku constituency, and State Minister for Local Government Jennifer Namiyangu, who is also Woman MP for Kibuku, both lamented that due to the famine in the district, hundreds of people nowadays pitch camp at their homes pleading for food. 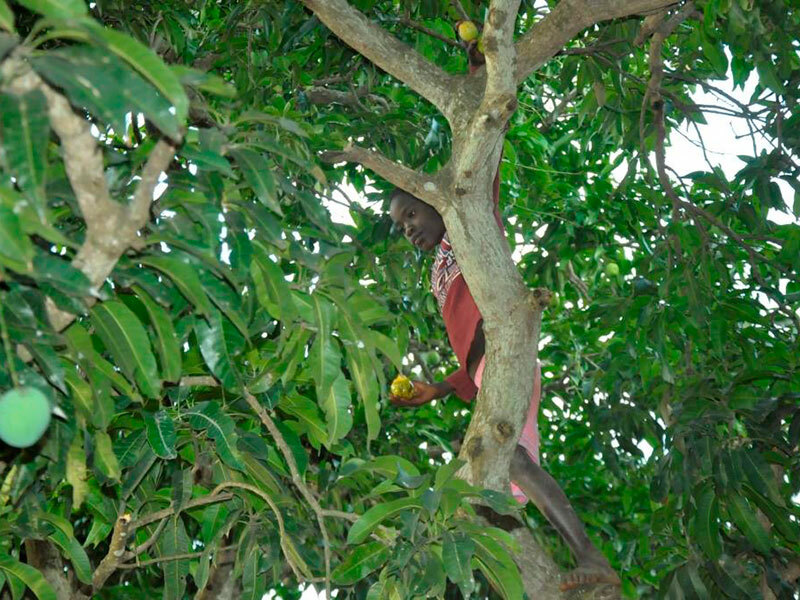 A Karimojong child picks mangoes from a tree for food. David Oduut. “People keep turning to us for money for buying food,” Kinobere said. “Our voters are now blaming us as other hunger-stricken districts are receiving food aid,” Namuyangu added. Palisa District production officer Richard Okot said the famine has been brought about by failure to realise good harvests. Most crops were affected by the little rain and fall army worm that damaged crops like maize, sorghum and millet. He says over 80 percent of the district population is still food insecure and warned that the numbers may rise if lack of rain persists. Okot said the food prices in the district have remained high with a kilogramme of cassava flour now going for Sh1,700, up from Sh900 last year. Other foodstuff such as beans now go for Sh2,800 a kilogramme, up from Sh2,000 in the same period, sorghum up to Sh1300 from Sh1,000 per kilogramme, cowpeas from Sh1,500 to Sh2,000 and rice from Sh2,500 to Sh3,200 per kilogramme. The price of livestock has, however, plummeted due to little demand and many offers as many farmers are selling animals to get money for food. John Okurut, Pallisa LC5 chairman, also attributed the hunger to cassava brown streak and mosaic, which destroyed hundreds of gardens of the most staple food crop in the district. 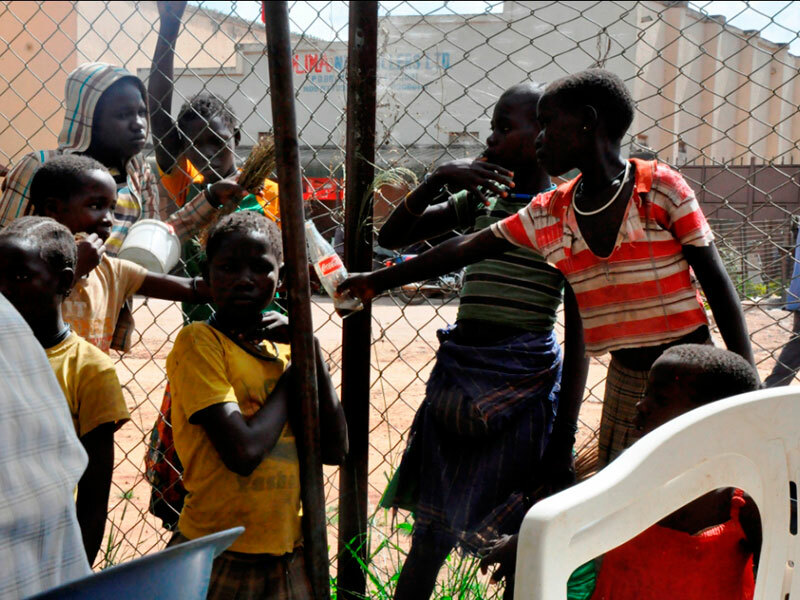 Budaka Chief Administrative Officer, Roseline Adongo, said in her district, the shortage of food has affected the school attendance this term as most children have been reported to miss school after sleeping hungry. Adongo also lamented of the rise of food theft cases in the district. The number of hungry people in the world has increased since 2015, reversing years of progress, FAO Director-General José Graziano da Silva told member states at the opening of the agency’s biennial conference in Rome, Italy, on Monday. Graziano stressed that almost 60 percent of the people suffering from hunger in the world live in countries affected by conflict and climate change. FAO currently identifies 19 countries in a protracted crisis situation, often also facing extreme climatic events such as droughts and floods. FAO has signaled high risk of famine in northeast Nigeria, Somalia, South Sudan and Yemen with 20 million people severely affected. The livelihoods of these mostly rural people have been disrupted and “many of them have found no option other than increasing the statistics of distress migration,” Graziano said. The FAO Conference is the agency’s biggest activity that reviews and votes on the programme of work and budget and discusses priority areas related to food and agriculture. Some 1,100 participants are attending the meeting that opened on Monday in Rome and runs through Saturday. The officials include a head of state, a prime minister, 82 ministers and numerous representatives from international organizations, the private sector and civil society. FAO’s top priorities for the next two years include promoting sustainable agriculture, climate change mitigation and adaptation, poverty reduction, water scarcity, migration and the support of conflict-affected rural livelihoods as well as ongoing work on nutrition, fisheries, forestry and Antimicrobial Resistance. 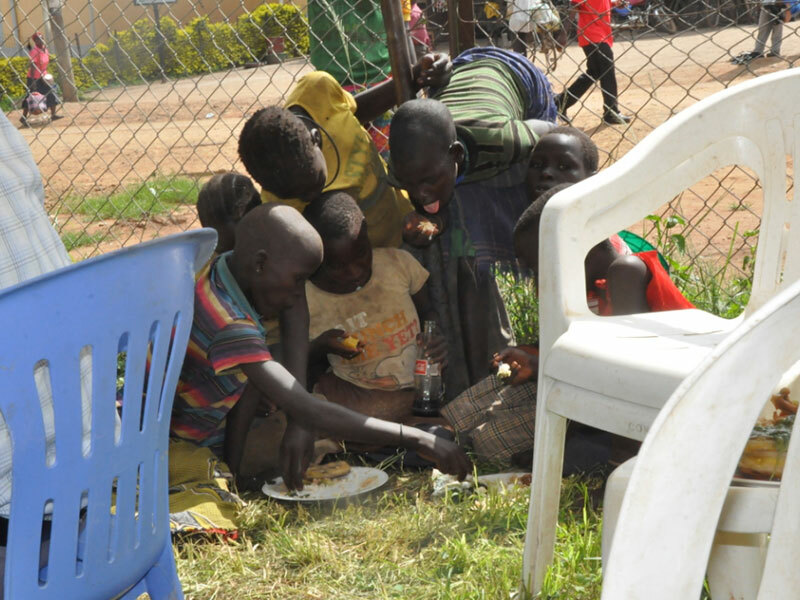 Karimojong children share food they picked from a party venue. The region is one of the worst affected by famine in the country. David Oduut. President Museveni recently dispatched a team of ministers accompanied by technocrats from the Ministry of Disaster Preparedness and Refugee Affairs to do risk assessment for hunger crisis in the country. And a report they delivered later indicated that 80 out of the 112 districts needed food assistance. The Minister of State for Disaster Preparedness, Musa Ecweru, said thats apart from delivering food relief to hunger-stricken communities, Government has also carried out food monitoring assessment in seven districts of Karamoja, the worst hit region in the country. Ecweru highlighted that the 2017/18 National Budget is also targeting to construct dams across the country to help address the issue of flooding as well as act as water reservoirs for irrigation. “These dams will help in irrigation and will sort the issue of drought hence reducing food stock out in families,” Ecweru told PML Daily on phone from Kampala. President Museveni, during the June State of the Nation Address, talked of the issue of irrigation, saying Uganda cannot depend forever on rain-fed agriculture. Meanwhile, Pope Francis has expressed strong support for FAO’s agenda, emphasising the need for solidarity and recognition of human rights. “We are all conscious that the intention to assure all their daily bread is not enough, it is imperative that we recognise that everyone has the right to food,” the pontiff said in remarks delivered by Cardinal Pietro Parolin, the Vatican secretary of state. The pontiff also announced he will visit FAO in person on the occasion of World Food Day on October 16.